Is Your Case Headed for Trial? 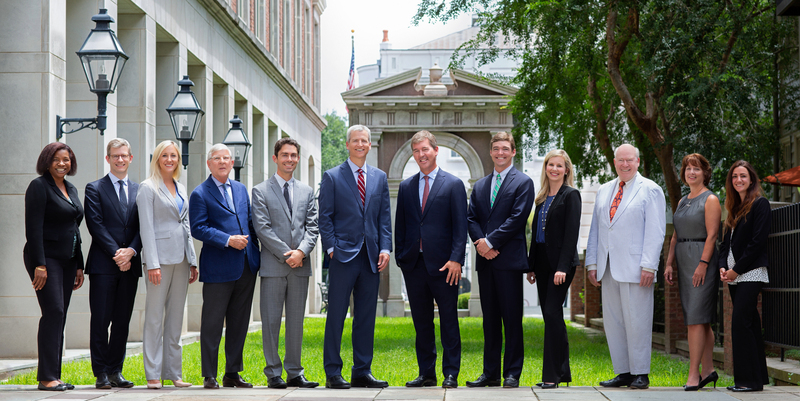 Founded in 2007 by Brian C. Duffy and J. Rutledge Young, Duffy & Young is a law firm based in Charleston, SC which offers a fresh perspective on solving a variety of legal problems for individuals and businesses of any size. Our attorneys represent clients primarily in civil lawsuits. Within this arena, each of us has experience in a range of practice areas. We also handle administrative matters and counsel our clients on select business matters and trust and estate matters. As a smaller firm, Duffy & Young is able to marshal its experience and talents efficiently and deploy them directly for the benefit of the individual client. Our attorneys first determine the best approach for addressing a client's issue and then execute a carefully developed strategy to achieve efficient and effective resolution of the matter. Moreover, the firm's structure promotes responsive representation that can adapt to a client's circumstances. We aim to provide the best client service available. Together the firm's attorneys have over 150 years of experience with nearly 300 trials and more than 150 appeals. That experience has taken our lawyers through our state and federal trial courts in Charleston and throughout South Carolina, to South Carolina's Court of Appeals and Supreme Court, the United States Courts of Appeals for the Fourth Circuit as well as other Circuits, and even up to the Supreme Court of the United States. Duffy & Young’s lawyers are seasoned professionals and have established reputations in the community for hard work, creativity, and integrity. The firm strives to earn and maintain the respect of our clients, colleagues, and of the courts as among the best firms in South Carolina for handling civil disputes. Accordingly, Brian and Rutledge are proud that the firm has received Martindale-Hubbell's AV rating from members of the legal community, the highest rating available for both legal ability and ethical standards. In addition to several AV-rated attorneys, the Firm boasts members of the American Board of Trial Advocates, fellows of the American College of Trial Lawyers, as well as lawyers listed as the Best Lawyers in America and as Super Lawyers, among other distinctions.